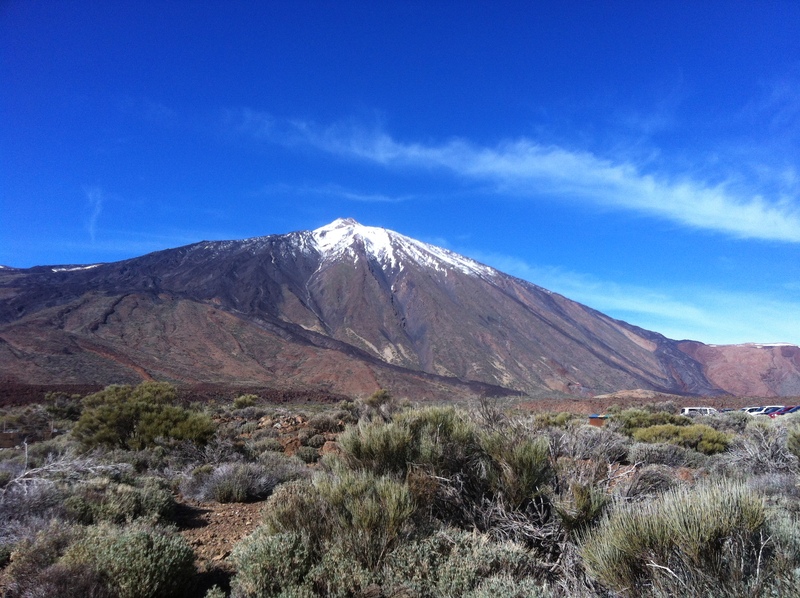 Paul and I finally agreed on Tenerife – geographically Africa but socially and consumerly, Europe. I spent hours ploughing through Homeway and spain-holiday.com to find a child-friendly property. I found one in San Miguel – far enough, I reckoned, to not hear the last calls from the pubs in Playa das Americas but near enough to get baked beans if necessary. It had a cot, highchair, microwave, an enclosed courtyard with banana trees so Leo could feed himself as well as not escape. And they knew someone who could babysit. 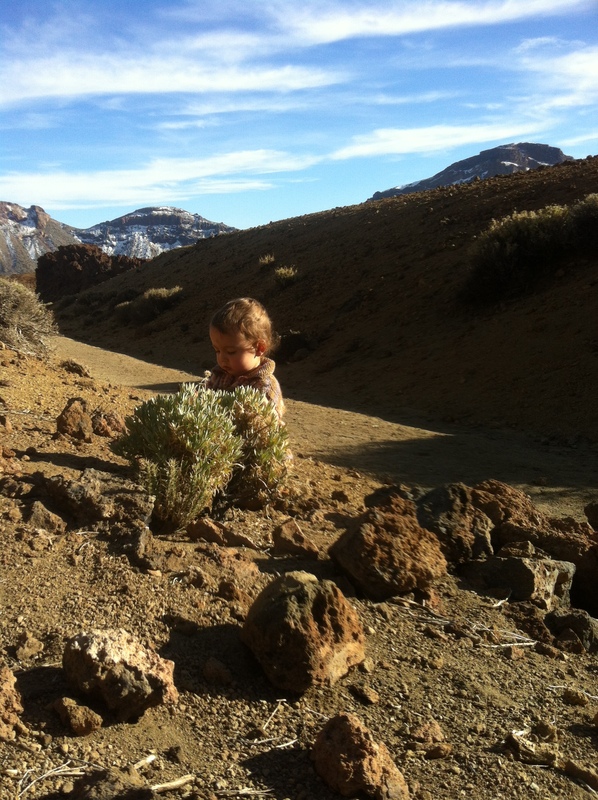 It was always hot in the Canary Islands. There were short flights from Seville. Perfect. 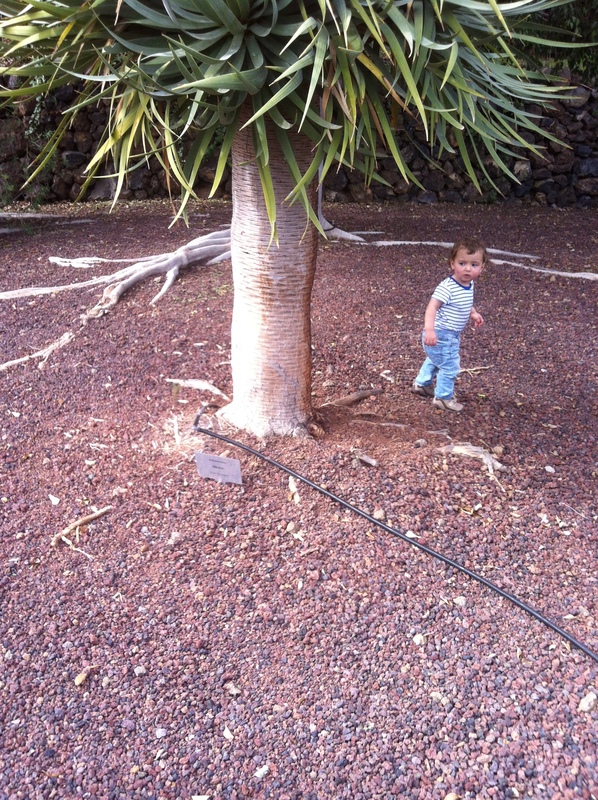 We kicked and screamed into north Tenerife, Leo loudly, me silently, Paul in German. Leo had managed to escape the seat belt and was somewhere between my legs and the floor. I apologised to everyone on the plane. Fortunately they were all Spanish so no one minded. ‘Ciao-ciao,’ Leo said to everyone, smiling, completely in denial that he was responsible for almost deafening the entire plane for two hours non-stop. He then promptly fell asleep as I carried him to the carousel to get the bags and pushchair. I was exhausted. I fell asleep with one foot on the trolley and the other on the pushchair while Paul spent a further two hours trying to find the hire car, then followed a further three hours stuck in traffic (traffic jams in Tenerife? An Ikea?) It was night time by the time we found San Miguel and another hour before we found the house. ‘No cot? But it said…’ I was about to launch an attack but realised I would get nowhere as it was not her property and she’d already told us that she hadn’t been paid and that the owner hadn’t been out for two years. There was no cot, no highchair, no microwave, no hairdryer, the TV didn’t work, there was no hot water in the kitchen, the most the fridge could manage was room temperature and there were rickety steps leading from the courtyard. And it was cold and damp. Only the thought of two hours on a plane kept me from flying home. So I simply cried, put two single beds together for myself and Leo, and left the milk bottles outside the bedroom door as I reckoned it was cold enough and the bedrooms were outside of the main house. ‘It will be better in the morning with the blue skies and sun,’ Paul said calmly, strangling a bottle of red wine as he tried to open it. We woke to grey clouds. We climbed the rickety steps and found a terrace with a view to the sea – and a local dump. We went shopping – together with two thirds of the island on a pre-Xmas binge. But amongst the shoppers I found nappies, Puleva milk for Leo – even baked beans. And we bought a hairdryer in a Chinese shop. The sun came out. We had coffee in a marina. Things were looking better. There are two main attractions in Tenerife: Loro Parque and the cable car up the volcano. 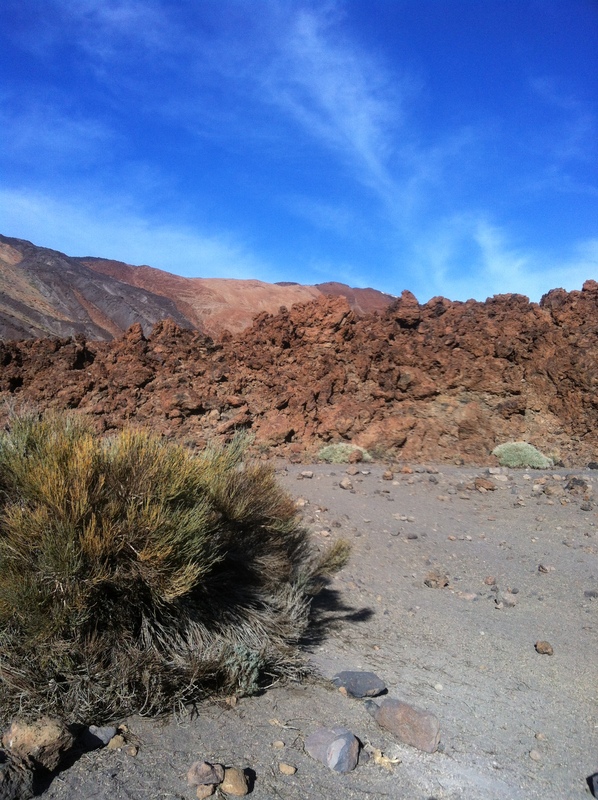 On Xmas day we went up into the Natural Park and entered a black and burnt orange crunchy and sculptural landscape. Up and up. We left the clouds behind. 2000 metres and climbing. 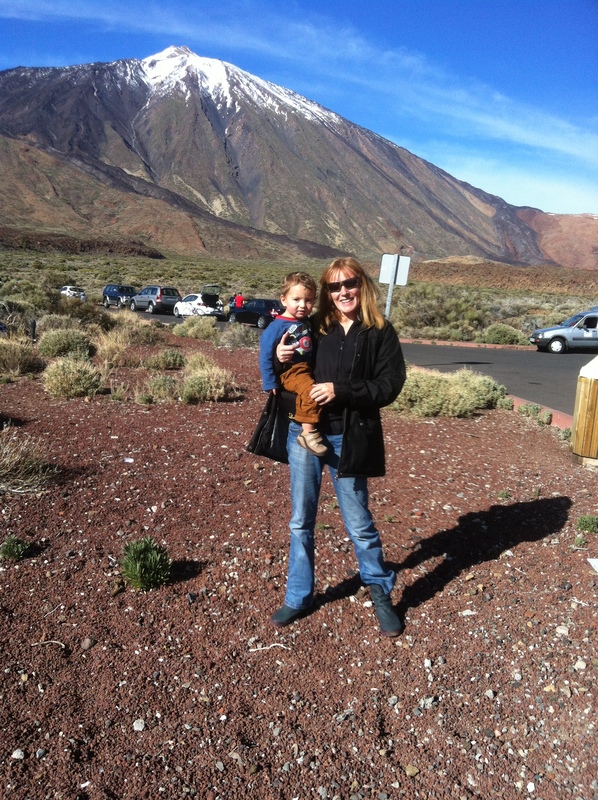 Snow glistened from the top of the Teide volcano. ‘Up! Up!’ cried Leo, pointing out the window. We parked and toddled up a barren hill to look at the mountains, the rock formations and dusty ground. I sat waiting for hobbits to appear from over the rocks, a Gollum perhaps, but there was only the occasional tourist. The cable car was closed due to ice and/or Xmas – I wasn’t sure which due to two different notices. So, instead we went to Puerto de Santa Cruz, a west coast town with smooth black beaches and old buildings. I love black – and so I was at home in the black sand. The interminable journey round the mountains prevented us from ever going back to Puerto de Santa Cruz and the other main attraction, Loro Parque (an animal and marine zoo). Leo coped well with the travelling. Eating was much trickier. Especially eating out. How do you eat out with a toddler? He’s too big for a high chair (and wouldn’t stay put anyway) and he won’t sit on a chair for longer than about 2.5 seconds. Fortunately in a way he was on hunger strike. I think the only thing I managed to get him to eat in a week were a few baked beans. The rest inevitably would go on the floor or over me. We did find a café in the village with a children’s room: brightly lit with a slide into a paddling pool of coloured balls, a push motorbike and some little dens. Paul and I managed to eat a pizza there one night – almost together. The rest of the time we had to eat in relays – while the other person took care of Leo. Eating at the house wasn’t much better as Leo had learned how to move a chair and could reach a whole new world that was forbidden. It was tiring. I began dreaming of a restaurant with a crèche. Not for romantic couples but for couples with children who enjoy food and eating out. I imagine a large room with the central part matted and crash proof, lit up with colourful lighting and a supervised little fun island for youngsters to explore and then tables around the outside with dimmed lighting so that parents could observe but not have to chase around after the kids. And eat. On the last day as I was heating up a pan of water to do the washing up, I said to Paul, ‘I have enjoyed it – despite difficulties.’ It was true. We hadn’t quite made it to the two main attractions but we had seen new things, different places, people. My senses felt refreshed – albeit the rest of me completely knackered. ‘Good,’ he replied and smiled. On the plane as Leo was screaming again from the floor and even the Spanish were muttering beneath their breath, I began to think if this was really worth it? In the park of the Pyramids of Guimar. This entry was tagged difficulties of travelling with toddlers, flying with toddlers, Tenerife, toddlers on holidays. Bookmark the permalink. Thank you, Caroline, and thank you for reading. Sorry for late response – afraid toddlers gobble up time! I’ve tried to submit articles to The Guardian before – Travel section – but no response. I think they keep closed doors but may try contacting the Family section and see if they’re open for articles. Hi, Lisa. I tried to contact you by the email in your website, but it seems your inbox is full. I am a Brazilian author whose first language is Portuguese but who’s trying to write fiction in English. I would like to have some “creative writing feedback” on my fiction. Do you still accept this kind of job? Thank you very much. Best regards, Lucas Nicolato. Hi Lucas. Thanks for contacting. I will email you a little later.